Remember slap bracelets, from when you were a kid? The Nite Ize SlapLit features that same "slap it to snap it" technology with an added dimension of LED illuminating functionality. Made of durable nylon patterned with a reflective spider web design, the SlapLit is powered by a bright, easy-to-activate LED that lights up the entire wrap. Turn it on, slap it on your wrist, upper arm, or ankle (or any tubular-shaped object, for that matter), and you've got instant nighttime visibility. Lightweight and durable, the SlapLit is perfect for after-dark lawn games; running, walking, or cycling at night; and outdoor evening concerts and events. Use and reuse countless times - the SlapLit can be straightened with a simple twist of the thumb and stored flat, or hung in its straightened form and used as an LED marker beacon. 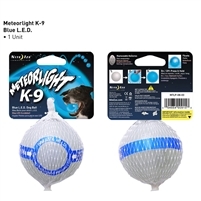 Whether your schedule prevents you from exercising your canine buddy during the day, or you just prefer carousing with him or her at night, our tennis ball-sized Meteorlight K-9 LED Ball is the perfect exercise toy. 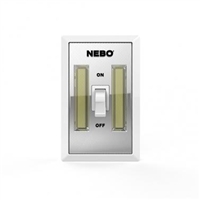 Push the button, the LED light begins its steady glow, and you can both see what you're doing and have fun doing it. Perfect for romps in the yard after sundown, or, if you're both craving a little socialization, take it to the dog park at night, turn it on, and watch the interested human/dog crowd form around you both! Bright, durable, and water resistant, the Meteorlight floats and comes with two long-life, easily replaceable batteries.